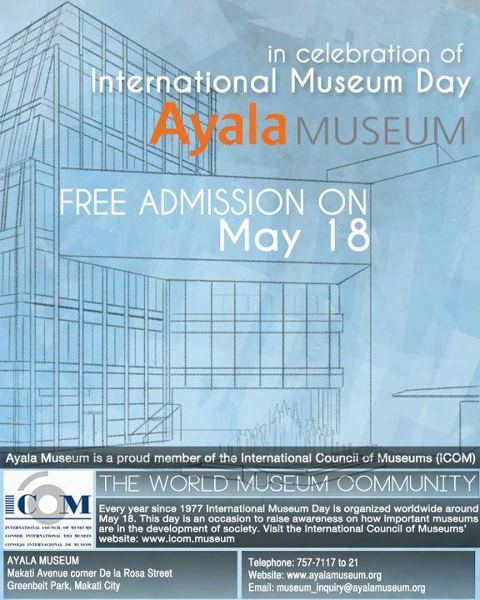 Ayala Museum envisioned by the late artist, Fernando Zobel de Ayala will be offering a free entrance in celebration of the International Museum Day on May 18, 2012. 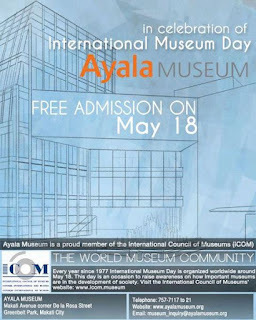 Ayala Museum is noted by its historical collections like the sixty diorama that explains the tapestry of Philippine history and miniature boat gallery that tells how our Philippine maritime trade and colonial economy was like before and it also houses archaeological and ethnographic objects from the country's northern and southern cultural communities. Ayala Museum also has fine arts collection that features works by three painters considered pioneers in Philippine art--Juan Luna, Fernando Amorsolo, and Fernando Zobel.